Don’t wait until the sun set of your life to travel the world! This month we are discussing a perfect travel consideration for the new year. The idea of taking a sabbatical or a mini retirement. We talk about the benefits of global travel, the adventures each of us have taken and why we want to continue to do so, how to take a sabbatical, what constitutes a mini retirement, and much more! We have two special guests joining us on the conversation to discuss the art of slow travel, taking a sabbatical, and what the heck we mean by a retirement podcast. These two special guests take a sabbatical every ten years so they are well versed in the ins and the outs of it and combined the four of us have been to over 100 countries! 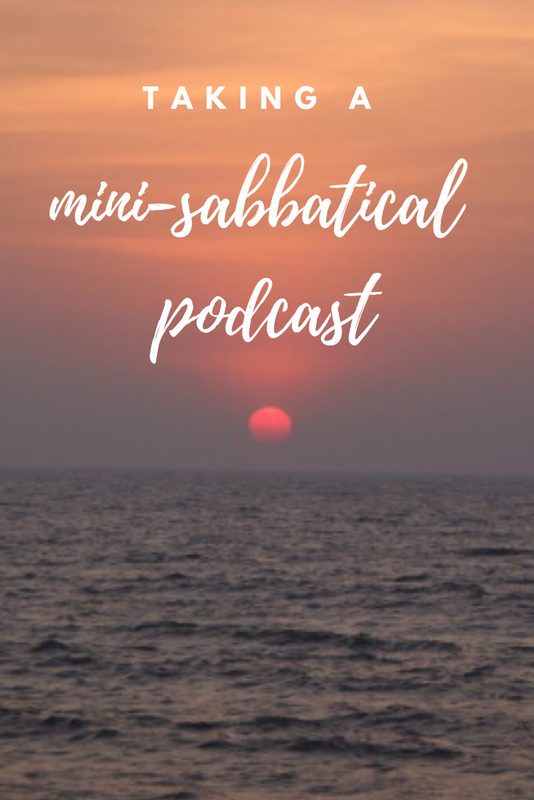 We hope you enjoy the Sabbatical/Mini Retirement Podcast! To read about Mike K and Paula R’s last sabbatical head HERE. Tim Ferriss first wrote about what a mini retirement is in this BOOK and in his blog HERE. Why is unplugging important? Arianna Huffington shared her thoughts HERE. Amy’s friends Curried Away Travel who are currently slow traveling are found HERE. Our friends Don and Shelly did a National Parks Sabbatical that we referenced and you can read more about their journey HERE. Jill G’s 50 Charity Challenge blog can be found HERE. The Lonely Planet Nepal book can be found HERE. Here’s a great article on what it means to be a Global Citizen. Would you like to do a Van Life Sabbatical? Read a good article about it HERE! Paula R’s friends who don’t stop traveling can be found HERE! Jay Shetty’s video on Building a Life not a Resume Video can be found HERE. Here are FAQ’s on thru hiking the PCT which was one of Amy’s possible sabbaticals. Some of Anthony Bourdain’s most famous quotes including the one Paula references can be found HERE. Our blog with Allan Karl can be found HERE. Thanks for tuning in to our Sabbatical/Mini Retirement Podcast! What is something you do that feels stretches yourself? Have more questions about how to take a mini retirement or a sabbatical? Comment below!